250 km north from Rovaniemi, near Saariselkä tourist centre, Kiilopää, Kakslauttanen and Urho Kekkonen National park. Apartment in wooden semidetached house, built in 2013. Combined kitchen-living room, bed room with 2 beds, alcove with a single bed, which length is only 166 cm, 2 mattresses on the loft, sauna, washroom/toilet, covered porch, carport and storage room. Storage room has got heating and it is suitable also for ski maintenance. DVD-player plays also cd-records. Weather conditions have a detrimental effect on TV and radio signals, visibility can not always be guaranteed. Barbecue hut in shared use with neighbor apartment (client has to do snowwork himself and clean the hut after usage, one box of fire wood in included in the price). Kick sled, 2 snow sledges and 2 pairs of snow shoes are available to clients. 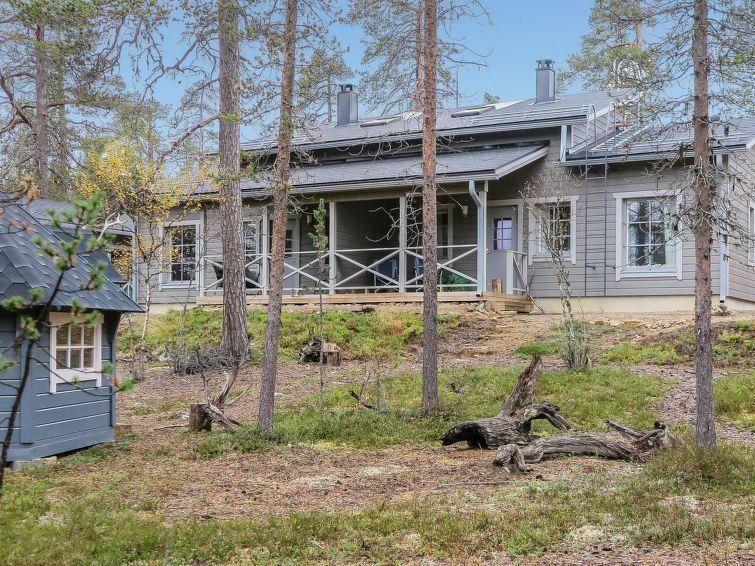 Villa Kota B is located in a peaceful and scenic area, Urho Kekkonen National Park, Kiilopää and services of Saariselkä tourist centre are very accessible. Distance to the border of Nation Park is 700 m. Fell Centre Kiilopää 3,5 km, Saariselkä 13 km. Illuminated skiing track 800 m. Airport bus stop 600 m.